Since the Fred Schnider Gallery of Art opened this past May, we’ve made some truly rewarding connections with organizations that serve and support the local arts community. Janet Kopenhaver, who leads the citizens group, Embracing Arlington Arts, is one person making significant strides in the local area. She was concerned that Arlington was seeing a decline in performing arts venues, and through her Embracing Arlington Arts group and radio show on WERA 96.7, Janet is aiming to bring awareness of local artists and cultural events to the community. We joined Janet for an interview recently where we discussed the gallery and community growth overall. Be sure to tune into 96.7 on September 4th at 3pm when it airs live! 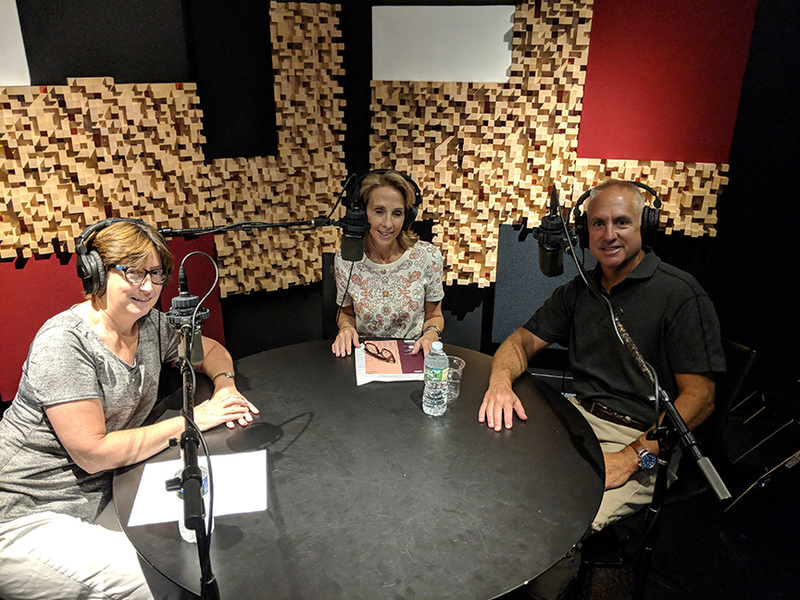 Mary Anne and Marty Schnider sitting down with WERA 96.7’s Janet Kopenhaver for an interview set to air September 4th on her Embracing Arlington Arts show.